MCCN supports a culturally diverse and inclusive environment. Commitment to diversity is an integral component of college life at Mount Carmel College of Nursing. 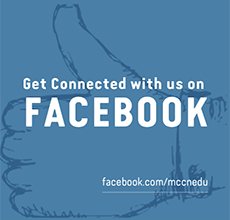 At MCCN, diversity includes not only the obvious aspects of race, gender, and ethnic backgrounds, but also the less visible circumstances that individualize students’ lives. 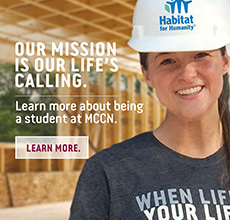 MCCN welcomes and supports first generation college students, students who are single parents, students living with disabilities and medical issues, students with varying religious practices and beliefs, students who must work full time, and students who are at risk of dropping out of school for lack of money and resources. MCCN’s diverse and inclusive environment respects all students as individuals who bring unique talents and abilities to the community and empowers them to reach their potential as professional nurses. Faculty and staff are committed to diversity as a concept and a goal, accountable to do their part to create and nourish such an environment at Mount Carmel College of Nursing. How diverse is the MCCN student body? Mount Carmel College of Nursing has a reputation for graduating highly skilled and valued nurses, as well as for a strong and proactive diversity program. Enrollment of minorities stands currently at 17%. In the field of nursing, men have historically been a minority group. MCCN’s celebration of diversity means men are welcomed and special support systems are already in place, including an established male student network and male faculty members. MCCN’s male population is 10%. Lunch and Learn is an entertaining series to help the college community become aware of life, culture, and healthcare in an environment different from our own. Presenters range from local minority leadership to healthcare providers who share experiences of nursing in foreign countries or in different cultures. The College also sponsors Black History Month presentations, and commemorates the birthday of Dr. Martin Luther King, Jr.
For future nurses, knowledge of cultural differences can be life-saving. Nurses will encounter much diversity in their patients, and appreciation of patients’ beliefs and lifestyle can contribute to patients’ healing.